Just how green are we? It’s hard to think about heating systems when it’s 17 degrees outside, but that was on the agenda of last week’s Green Team meeting as the sun shone. As you may remember, Bow Arts received news back in January that our bid for Arts Council funding for gallery refurbishments had been successful. The grant had included funding for other capital developments at our Bow Road site, not just for the gallery, but the monies allocated to the gallery did not include installing a heating system. If you have ever been to the Nunnery gallery during the winter months you will know that it is COLD. 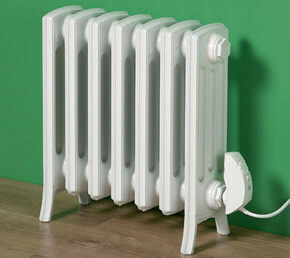 Heating is provided by several oil filled radiators plugged in (with any luck) ahead of opening. They take the worst of the chill off, but having just been through one of the most prolonged cold periods in recorded history, they did little to help. And from an environmental point of view, this is a very inefficient way of heating the space. Now that improvements are being carried out in the gallery, what could and should be done? We started looking at various green heating systems – biomass boilers, thermal exchanges, solar panels – you know the kind of thing. But, at present, we don’t have the expertise, the funds or, to be honest, the manpower to embark on such a project. However, we have a small window of opportunity to make some improvements to the energy profile of the gallery and we are leaping at the chance to make changes where we can. A decision has been made to fundraise for a conventional heating system, ie AAA rated boilers and good insulation, etc, which will be compatible with a future integrated environmental control system for the gallery.